HP2, also called HPGL2 (Hewlett Packard Graphics Language 2), is a file format developed by Hewlett Packard. A vector file format, it was created for driving plotters. HP2, or HPGL2, is an enhanced version of the earlier HP, or HPGL, which is a de-facto standard for plotter formats supported by most plotters. Most CAD systems also have the capability of outputting HP. In 1990, Hewlett Packard released the improved version, HP2, to keep up with the increased and better plotter technology. HP2 has a smaller file size than the earlier version because of the use of Encoded Polylines. The high performance HP2 uses two-letter mnemonics as instructions for drawing lines, circles, text, and simple symbols. It uses the program ImageMagick to create thumbnails from source images. This feature is particularly useful with Photoshop as the reading and rendering of large images is rather slow in it. The use of ImageMagick by HP2 greatly reduces the time spent in reading and resizing an image. 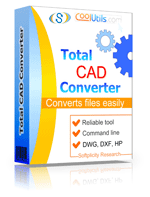 To easily convert HP2 files to other CAD formats or images (DXF, WMF, PDF, JPEG, TIFF, PNG) use Total CAD Converter. It works via user interface as well as command line.